It’s not news that social media has taken the business world by storm, changing the way consumers research their purchases and creating an unprecedented opportunity for brands to build one-to-one relationships with their brand’s biggest fans. The data brands have collected from these interactions has allowed marketers to fine-tune their marketing tactics, and how they talk to their customers. 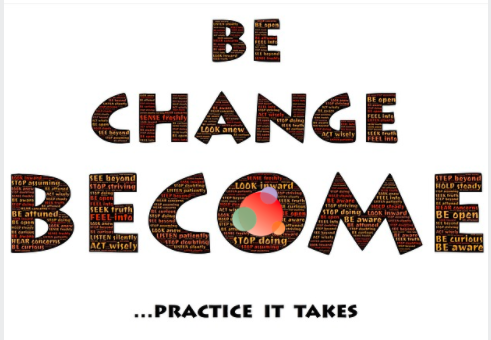 Although some PR professionals have seized the opportunity to evolve their communications strategies, far too many have stayed complacent, keeping their heads down and focusing on media relations and other traditional tactics that have served them well throughout the years. But here’s the thing: Marketing budgets are increasingly shifting to focus on content marketing and other efforts that can show a concrete return-on-investment. Although your executives or clients may get excited when an acquaintance on the golf course compliments them on their local business journal profile, they’re going to get a lot more excited when you can show them your PR efforts generated revenue for your organization. For those of you who just rolled your eyes at the idea of PR being able to show a return-on-investment, let’s have a little chat about the PESO model, which is what makes this possible. What is an Integrated PESO Model? 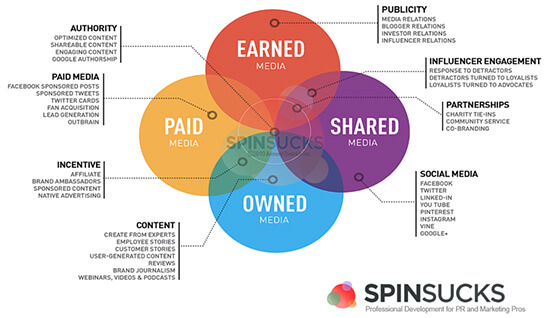 The PESO model takes the four media types—paid, earned, shared and owned—and merges them together. Paid media. In PR, paid media is social media advertising, sponsored content, and email marketing. Earned media. 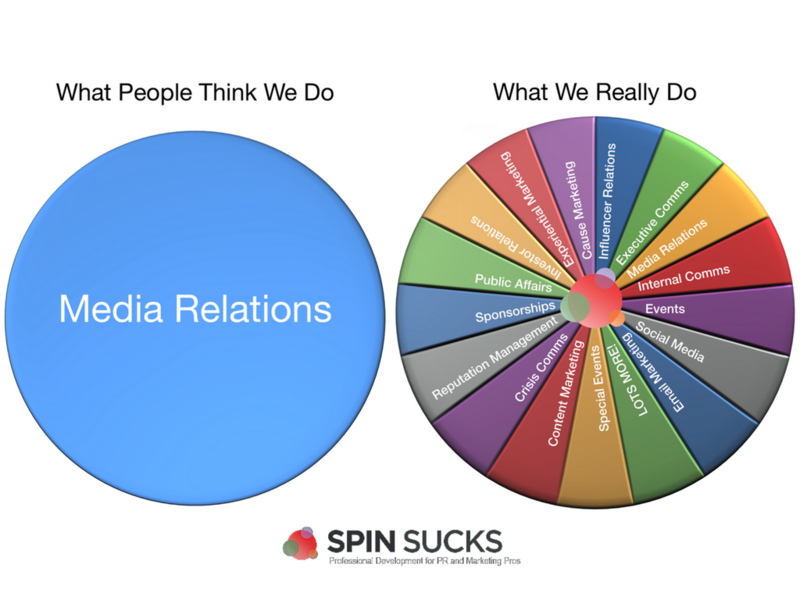 This is the PR industry’s bread and butter, most often referred to as publicity or media relations. 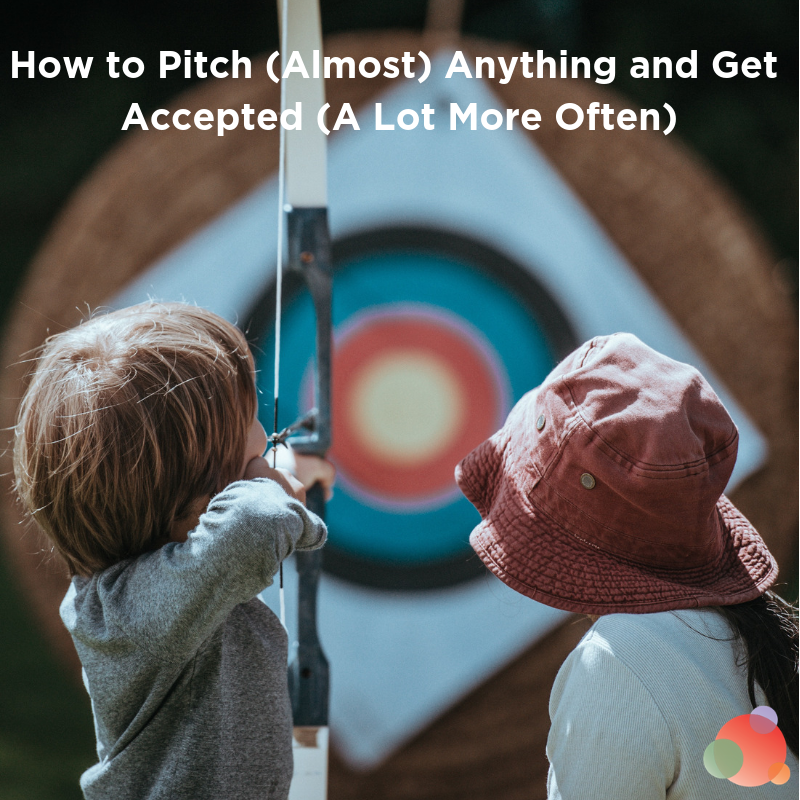 It’s everything from becoming a regular contributor on a media website to having a newspaper or trade publication write about you to appearing on the noon news to talk about your company. Shared media. Shared media is also known as social media. It’s a primary communications channel both internally and externally. Owned media. Owned media, aka content, is that which you produce to live on your website or blog. It’s the one channel where you completely control the messaging and tell the story in a way you want it told. We developed the PESO model in 2014 as a way to highlight the evolution of the work PR practitioners do, and show the interconnection and dependence of the communications activity necessary for a successful digital communications program. 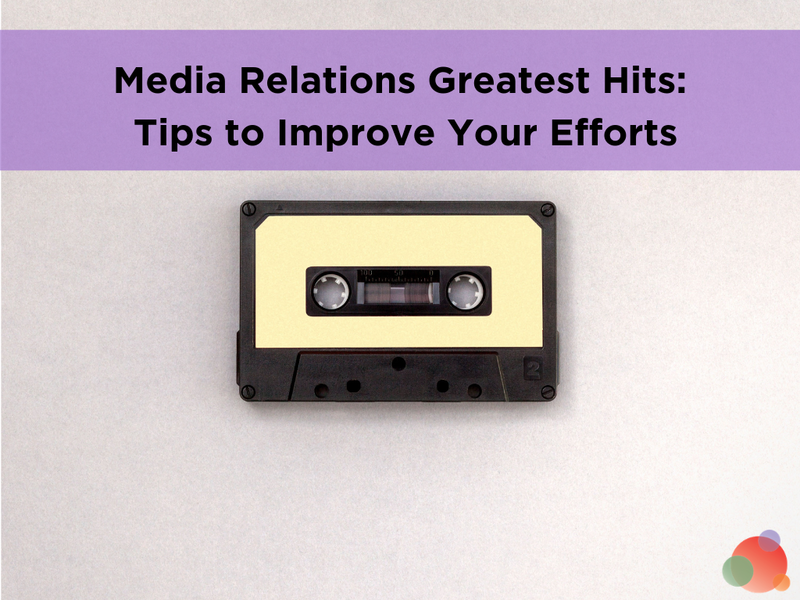 It’s incredibly difficult to measure a direct return-on-investment from most traditional media relations efforts. By implementing the PESO model, and expanding your focus to include creating content on web properties you control, you are able to build in measurement (and thus, tracking your results) into everything you do—including media relations. When you create valuable content resources your customers find to be interesting and informational, you will be able to build the relationships—and search engine results—that can drive revenue for your organization. With traditional media relations efforts, you’re lucky to get a link back to your company website’s home page. But when you’ve pitched a journalist on a topic that you have strong, non-promotional content to support, you’re able to earn links directly to that content, which, in turn, allows you to start tracking the influence your PR efforts have on your lead funnel. I understand this can seem like a daunting premise, especially in matrixed organizations wherein paid, earned, shared, and owned media have separate budget owners and priorities. But I’ve seen the model work in a number of organizations, that are now seeing real revenue results from their PR programs. This takes PR out of the nice-to-have marketing category that’s first on the budget chopping block, into an integral part of your business growth strategy. A version of this first appeared on the Cision blog.